The holidays are drawing near starting with Halloween! My kids are getting very excited for parties, dressing up, and Trick-or-treating. I must admit, I am not one of those cutesy pinterest mommies who decks the house with decorations and festive homemade goodies every holiday. For some people, that kind of thing comes naturally, but for me, it takes effort! When I try and get really crafty or ambitious it usually fails miserably, hence the reason why I try to keep things super simple around my house. Less than 10 ingredients! Yes! I can do this! 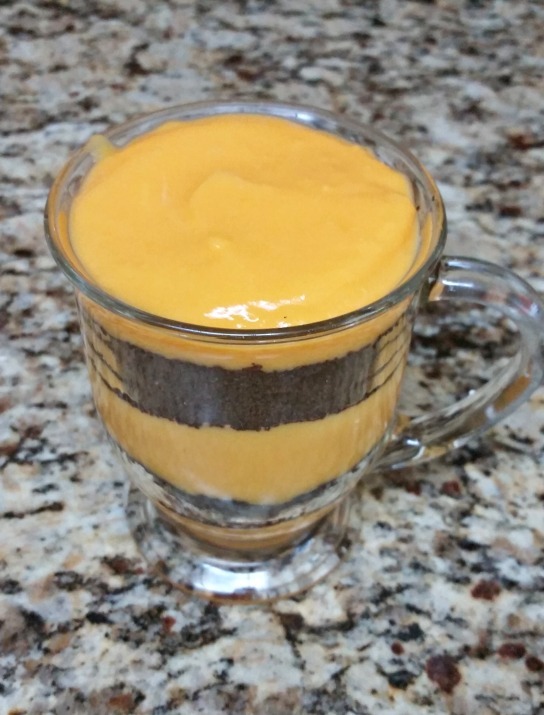 First, I made the pudding using instant vanilla pudding mix blended with TruMoo Orange Scream Milk. While that was setting up in the fridge, I crushed the chocolate sandwich cookies in a gallon sized bag with a rolling pin. Next, I made layers alternating the crushed cookies and the orange pudding. Finally, I scooped some whipped topping into a bag, cut the corner, and then swirled it on the very top. You can use whatever you like for the eyes. I chose Sixlets, but you could also use M&M’s or Skittles. Hooray! 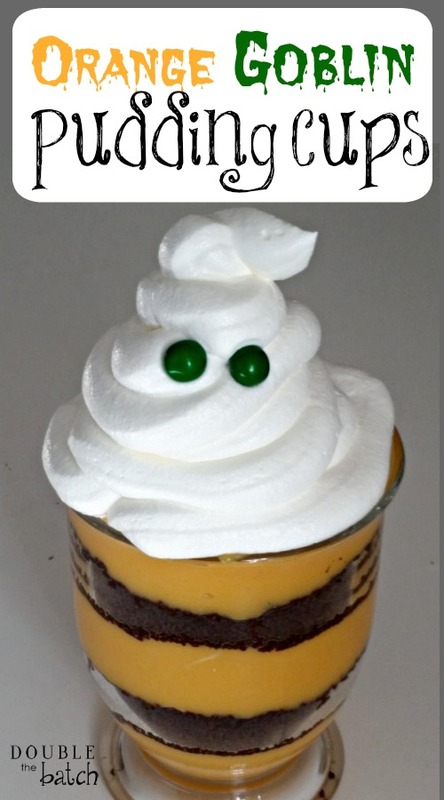 Easy and simple Orange Goblin Pudding Cups! Follow directions on pudding box, substituting the TruMOO Orange Scream flavored milk in place of regular milk, While pudding is chilling in fridge, crush or blend the cookies until all the chunks are gone and it resembles ‘fine dirt.’ Layer the pudding and crushed cookies in cups and then top with the whipped topping. Carefully add candy for eyes. Enjoy! Thanks to TruMOO for making my life just a little easier as a mom today. I’ve never been a huge milk drinker but might convert after trying this delicious Orange Scream flavor! I love that it contains NO high fructose corn syrup or artificial growth hormones. It wasn’t overly sweet, just a hint of sweetness and lots of orange goodness. If you can keep it in your fridge without your kids gobbling it all up, you might be able to create some recipes of your own. 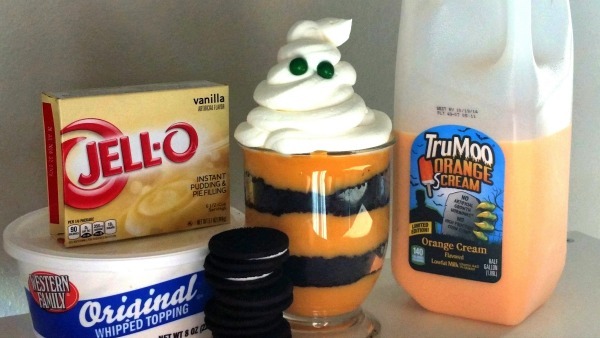 You can visit their website for more delicious TruMoo Halloween recipes! 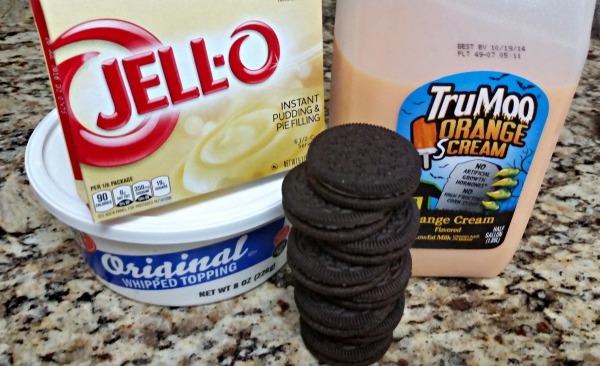 Follow TruMOO on Pinterest for even more delicious recipes. Join their community of fans and enter their Facebook contest for a chance to win weekly prizes during October!